Dear readers, we would like to thank you for being with us day-by-day. You are real contributors to our inspiration – as we are to yours hopefully. We would like you to know that it is great that you are here for us and we really appreciate it. In order to show our appreciation for your activity on DesignModo, we think a great way to thank you would be a Big Thank You from the bottoms of our hearts in the first place, and a little present for you, Free Business Card PSD. We would also like to thank Kendra Gaines who has made it possible. Kendra is a great young designer from Virginia, USA. She is committed to helping individuals foster modern design techniques and infinite amounts of creativity. 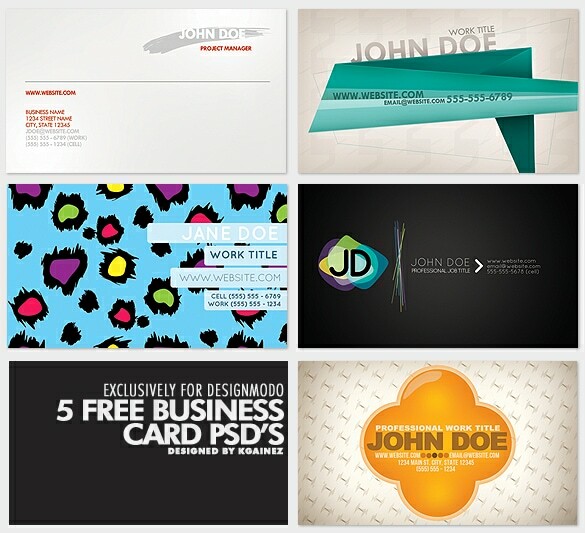 Yes, you’ve read it right – we have 5 designs of super cool business cards for you to download for free.